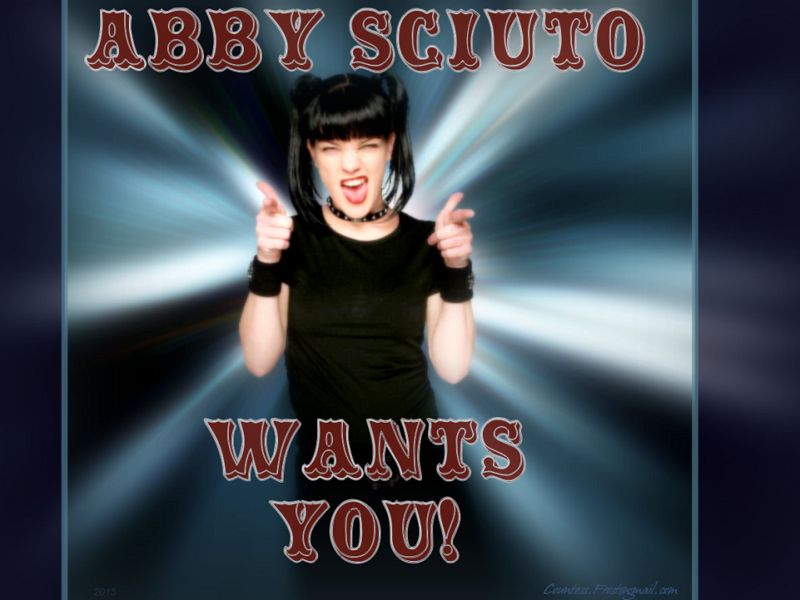 ABBY SCIUTO WANTS YOU!. 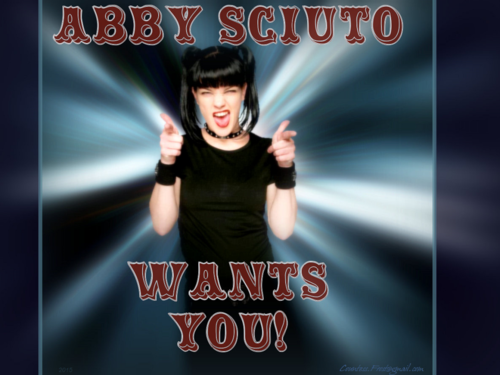 "ABBY SCIUTO WANTS YOU!" - NCIS Enquêtes spéciales fond d’écran created par TheCountess featuring Pauley Perrette as Abby. HD Wallpaper and background images in the Abby Sciuto club tagged: ncis tv show abby abigail sciuto pauley perrette fan art wallpaper thecountess. This Abby Sciuto wallpaper might contain anime, bande dessinée, manga, dessin animé, portrait, headshot, gros plan, and closeup. This is as awesome as Abby herself! In case you couldn't already tell, she's one of my favorites on NCIS.